Have you been told you grind your teeth, but you’re not sure what it means? Then keep reading, as today the Vitality team will be bringing you up to speed on everything you need to know about this serious, yet often subtle, dental issue. I don’t grind my teeth at all- do I? Strangely, teeth grinding is one of those phenomena where you may not even be aware you are doing it, but it can cause you great discomfort and pain in the process. Teeth grinding symptoms aren’t limited to your mouth, either, so the name may sound a little deceptive. Many people who complain of jaw pain or persistent headaches and piercing earaches on waking are, in fact, causing this by grinding their teeth overnight without realising it. Except in certain extreme cases you very likely will not wake yourself up with this action, or even be aware that you are performing it. If you don’t have a light-sleeping parent or partner to hear the tell-tale teeth grinding action overnight, or notice a stiff, clenched jaw as you sleep [known as bruxism], you will likely first find out about your teeth grinding from your dentist as it will leave wear-and-tear signs in your jaw and dental health. Poor sleep quality: sleep paralysis, violent sleep, snoring or talking in your sleep. 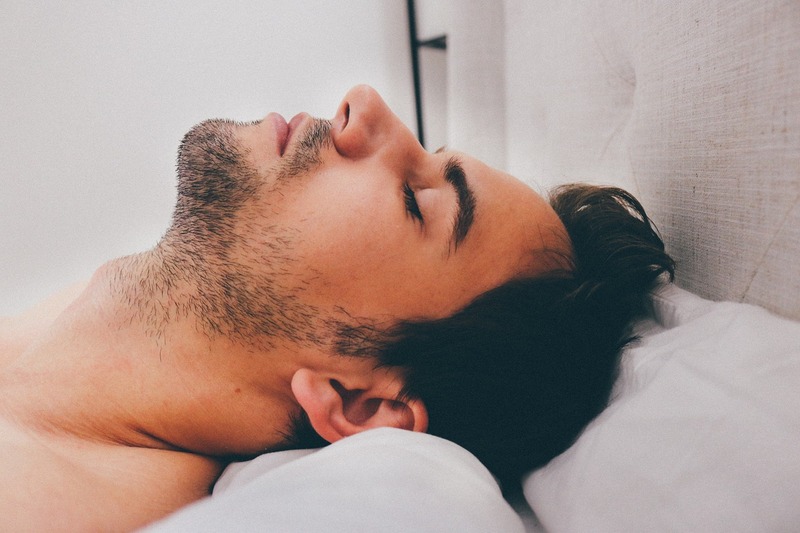 If you’ve explored all standard options for causes of your headache, earache or jaw pain, it may be time to snag yourself a sleep recording app [or a sympathetic partner] to discover if you are grinding your teeth overnight as you sleep. These will record all sounds overnight, as well as measure metrics such as how often you toss and turn. If you are aware of having disordered sleep already, you should always be aware that teeth grinding may also be an issue for you and monitor your oral health carefully. What is the meaning behind teeth grinding? When you are first told you are grinding your teeth, you will likely worry and panic. It’s understandable- performing a repetitive, health-damaging action in our sleep can be quite a difficult thing to come to terms with. Take heart, however. Teeth grinding and its jaw-clenching cousin, bruxism, is typically a short-term issue brought on by excess anxiety and stress preventing you from slipping correctly into the deeper cycles of sleep. If you have a ‘bad bite’ and crooked teeth, the tendency can be a little exacerbated. Do note, however, that teeth grinding can also be a sign of sleep apnoea, a serious medical condition close to snoring where the patient physically stops breathing for short periods in their sleep. While it’s important [and a little scary] to note these sleep-time issues, getting help with them will restore your quality of sleep and make your life much better in the process, so look forward to relieving your issues rather than feeling weighed down by them. Young children may also grind their teeth as their adult teeth emerge. In this case, it typically resolves as they age and their full complement of teeth come in. It is important to note that certain types of Selective Serotonin Reuptake Inhibitor drugs [SSRIs] contribute to teeth grinding, as does the use of unwise recreational drugs, overuse of alcohol and other sleep-and-mind-disturbing behaviours. What is the treatment for teeth grinding? Teeth grinding can be slightly problematic to treat, as we often are not aware of the causes of the tooth grinding in the first place. Your first step should be eliminating the possibility of the most concerning trigger- sleep apnoea- and ensuring you treat this condition should you discover you have it. More mildly, snoring and any obstruction of the airway can also cause a grinding issue, and you may find alleviating this alleviates other issues too. Look into methods to help you reduce overnight snoring, from mouth guards and jaw cushions to changing your sleeping position. However, for the majority of people, their tooth grinding will be triggered by stress and anxiety. For most of us, this is a passing episode that will resolve itself as the trigger does, and you may not even notice any dental issues to need to treat. Muscle relaxation, stress management, mindfulness and good ‘sleep hygiene’ will all help contribute to a calmer night’s sleep. If you know you have an anxiety condition, CBT therapy may help too. While you resolve these issues, your dentist can assist with a bespoke anti-clenching appliance or mouth guard, which will help prevent further damage to the teeth. This can be especially helpful if your grinding is likely to damage to your teeth. If your teeth grinding has already caused significant damage, your dentist will help you address these issues separately. This may include repairing any damaged teeth or fillings, treating any possible abscesses or sensitivities brought on by friction on the enamel surface of the teeth, and otherwise restoring great oral health to your mouth. Teeth grinding can be a scary issue to suddenly be confronted with by your dentist or loved one, but it’s important to realise it’s simply a symptom of a different trigger, and that addressing this overnight trigger which is disturbing your sleep will not only help stop your teeth grinding and improve your oral health but also leave you well-rested, happier and healthier all around. We at Vitality stand ready to help you with any and all teeth grinding symptoms you may have. ← What are the most common mouth problems?